BitOptimizer allows you to easily remove your Internet Explorer temporary file cache. This cache weighs down your browser, so once it's cleared you will immediately experience a boost in browsing speed. Also, when clearing recent History items, you can remove recent Start Menu document entries, which also provides your browser with a much needed boost. 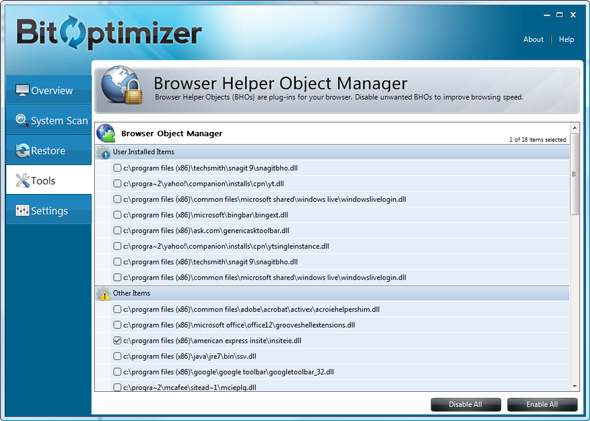 What's more, BitOptimizer shows you Browser Helper Objects and gives you the option to disable them for improved browser performance.